In my home city of Ponce there is a well-known shop that has been making ice cream with tropical fruits for 50 years. After mass on Sundays, it was very common to see long lines of families patiently waiting to pick out their favorite ice cream. They're so popular that anyone who visits seems to want to talk about how much they miss the ice cream. As a little girl I used to love the soursop and coconut flavors, but I also enjoyed almonds and pineapple. 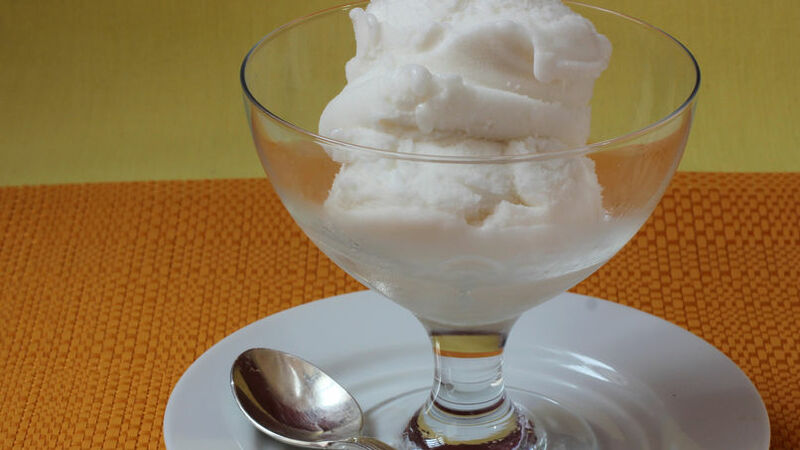 Now that I live a far from this city, I also miss them and that’s why I've tried to recreate the soursop ice cream with my own recipe. My recipe isn't exactly the same as what you'd find in that shop, but I really like what I ended up with after many attempts, I hope you do to!